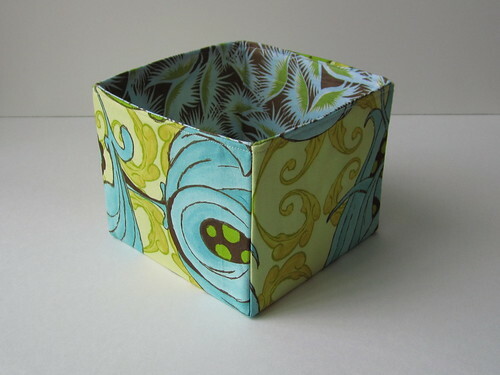 I'm pretty proud of this little fabric box I made using a tutorial from The Sometimes Crafter. 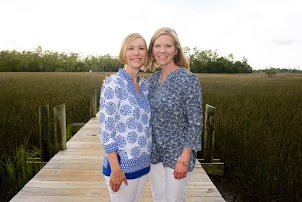 All it requires is 2 fabric fat quarters and some thick sew-in interfacing. This blue and green version reminds me of spring, which is slowly making its way to Indianapolis. 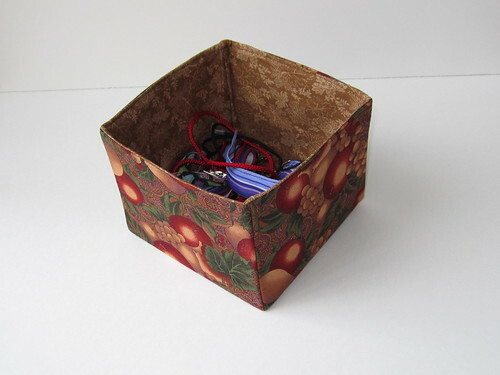 The blue and green is Box #2; I experimented with some more traditional fabrics with an autumn feel for Box #1, just to make sure I could handle the project (and follow the directions!). There's no shortage of little odds and ends around my craft room that need containing. 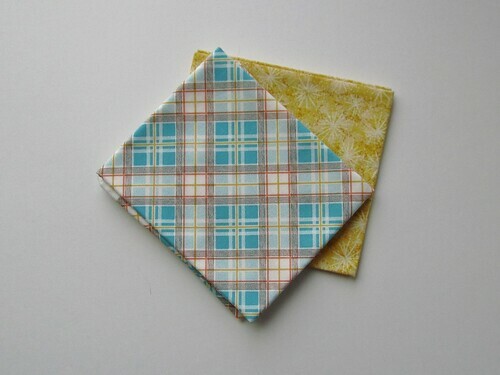 Next up, a summery combo in plaid and yellow.